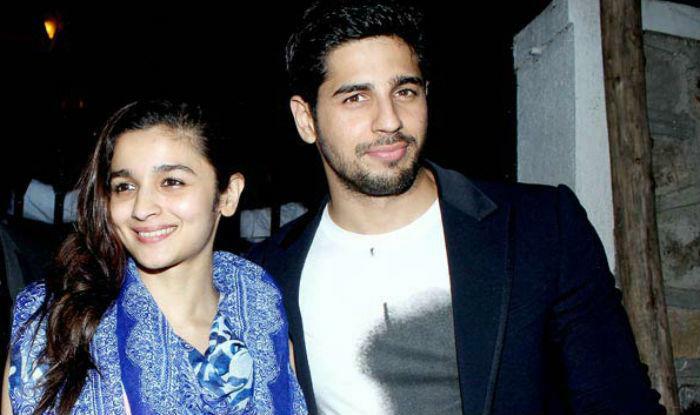 Sidharth Malhotra has been linked to actress Alia Bhatt for a while now but the actor maintains that they are "friends" and there is no harm in being spotted together. Ever since Sidharth and Alia acted together in "Student of the Year", gossip mills have been abuzz with rumours of their fondness for each other. "So, I shouldn't be spotted with her? If we are going to public places there is media around to click us (taking our pictures). We all are friends and very very close so why shouldn't we get clicked? What is there to hide," Sidharth told reporters here when asked about his outings with Alia. On work front, the 32-year-old star is excited about his next two releases "Reload" opposite Jacqueline Fernandez and remake of Rajesh Khanna starrer "Ittefaq" with Sonakshi Sinha. "The shooting for 'Reload' is almost done only one song is left. The film will come out (release) in August. It has popcorn action as it has elements of humour in it," he said. "I will start shooting for 'Ittefaq' next month. It's a murder mystery, I haven't done this kind of genre so I am pretty excited about it," he added. Sidharth was speaking on the sidelines of the press conference of New Zealand tourism, of which he is the brand ambassador.